Wroclaw is the second largest city in Poland and is located in the western part of the country. Several companies like IBM, Google, Volvo, Bombardier, and Hewlett Packard have their offices in Wroclaw. Since many companies prefer highly-skilled Scrum professionals, KnowledgeHut is shortly launching some workshops on CSD certification in Wroclaw. If you want to give your career a kickstart, join one of the academies on CSD training in Wroclaw. The basic concepts of Scrum, its roles and ceremonies are covered in a two-day module. The latter part of the CSD training in Wroclaw teaches you Scrum with the help of theory, practicals and also by presenting real-life examples. Upon the successful completion of the certified scrum developer certification in Wroclaw, you get a two-year membership to the Scrum Alliance network. The coursework of this immersive academy is delivered by certified tutors. Enrol in this five-day CSD training in Wroclaw and get in-depth exposure to the basic and advanced level concepts of Scrum and Agile. 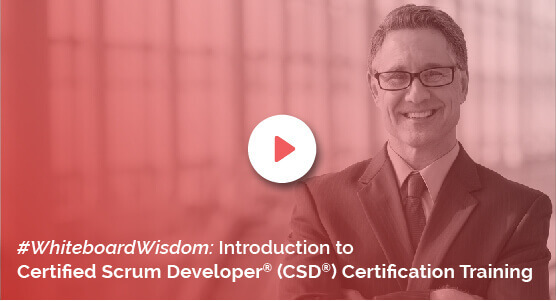 CSM credential holders who work as testers, developers, QA professionals, product and project managers, business analysts, software architects can join this course on Certified Scrum Developer training in Wroclaw. Non-CSM holders can also apply for this workshop but they will have to either take part in the two-day course or the entire five-day workshop. Become a member for two years of the Scrum Alliance network by successfully clearing the CSD course in Wroclaw. KnowledgeHut is the global training partner of Scrum Alliance that has been providing excellent services and facilities to the participants. Also, it has multiple internationally-reputed accreditations to its name along with a staff of certified instructors.